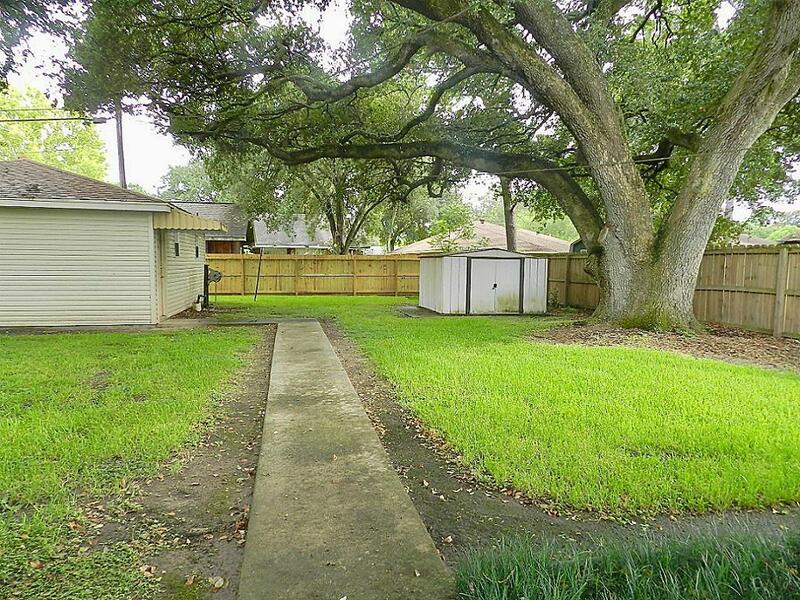 Two gorgeous old oak trees in the back yard. 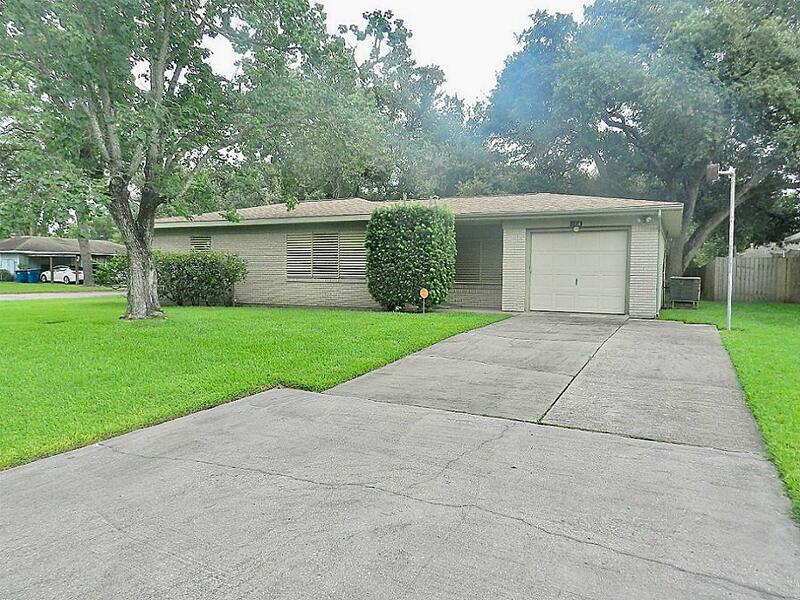 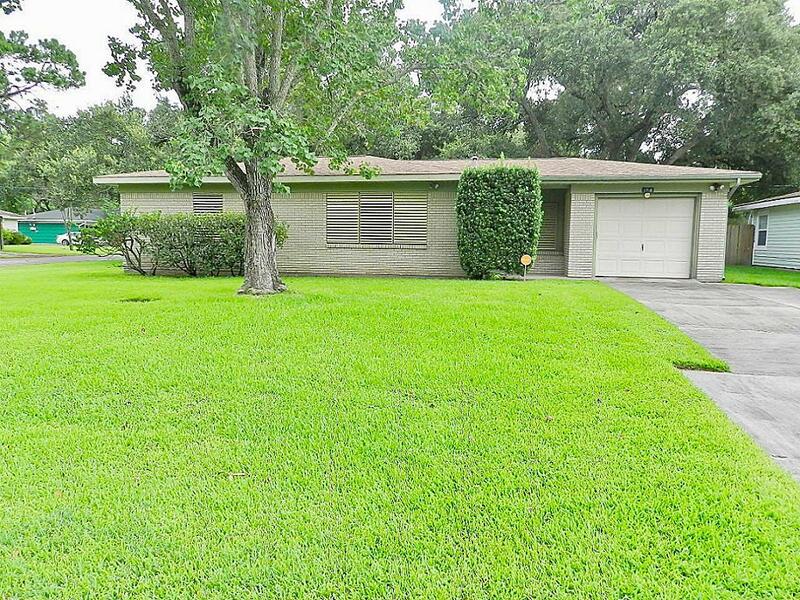 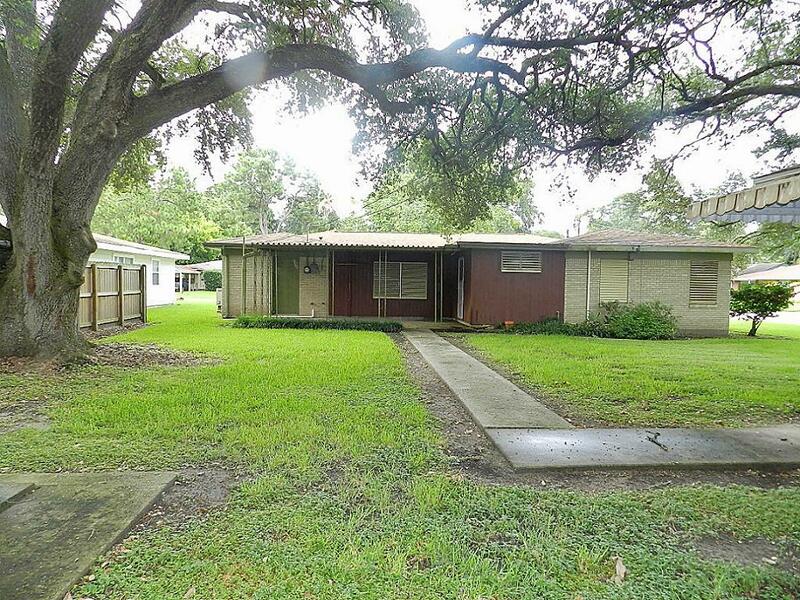 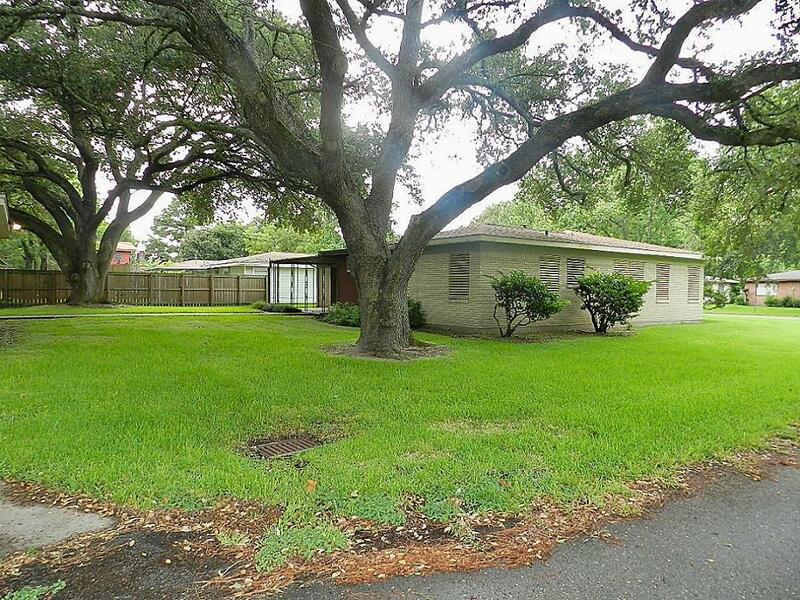 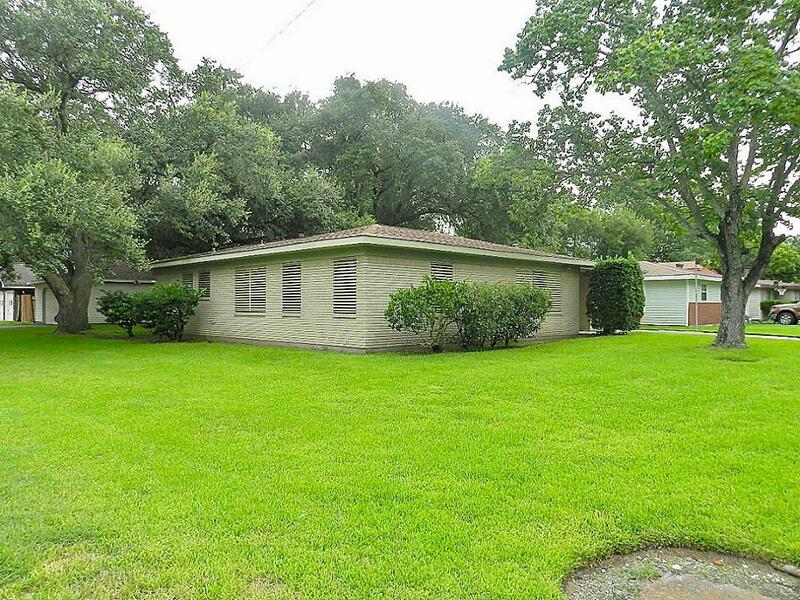 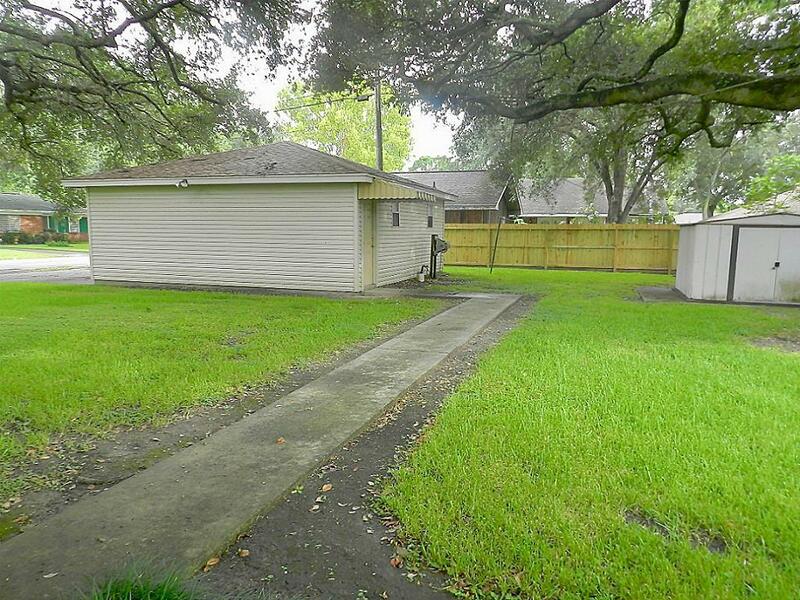 Well kept 3 bedroom home. 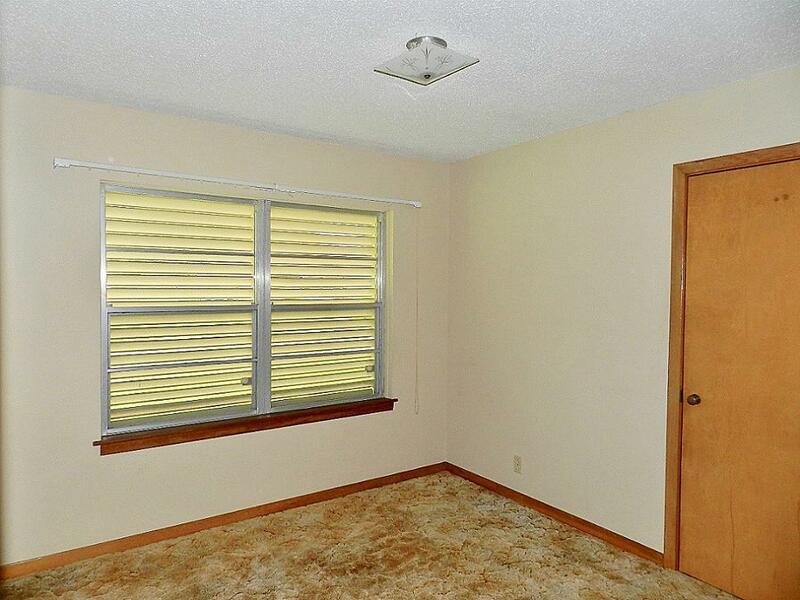 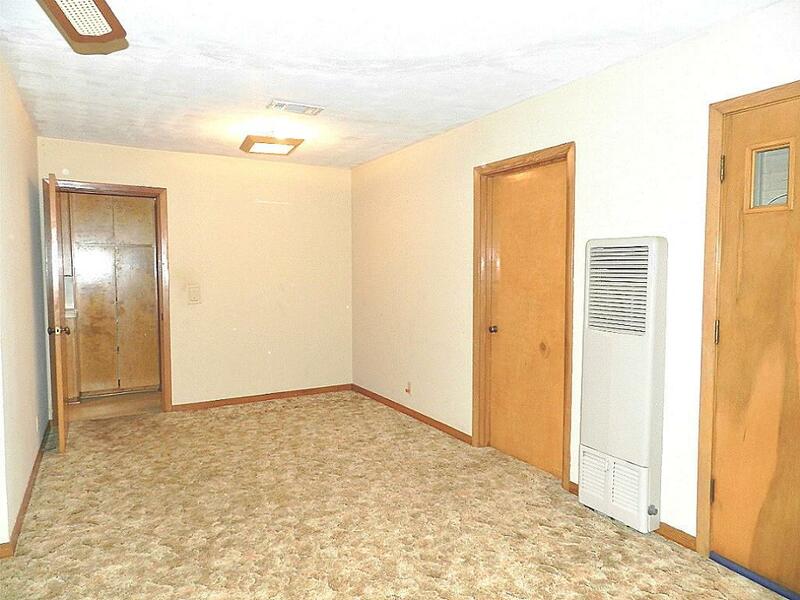 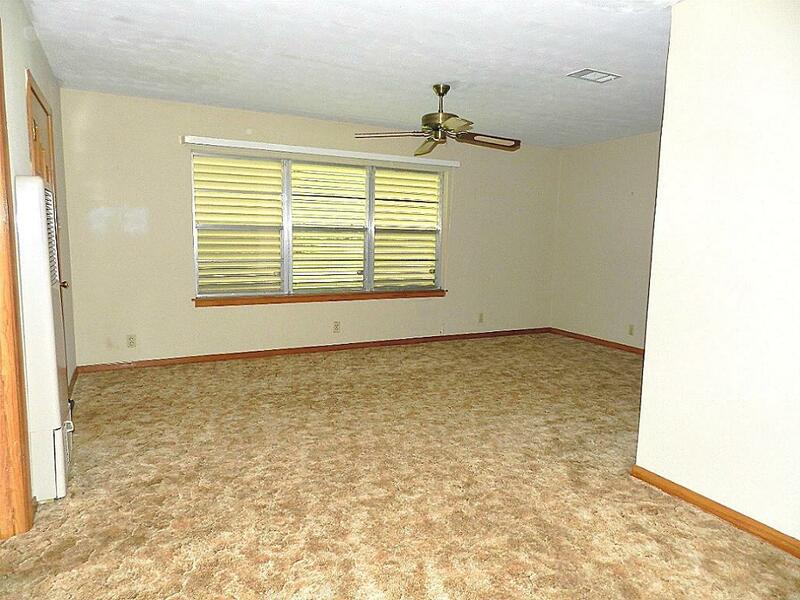 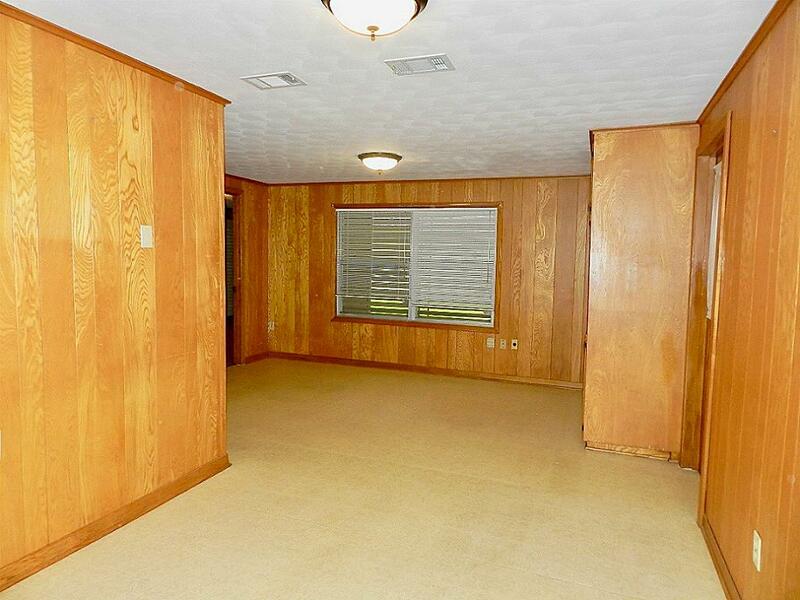 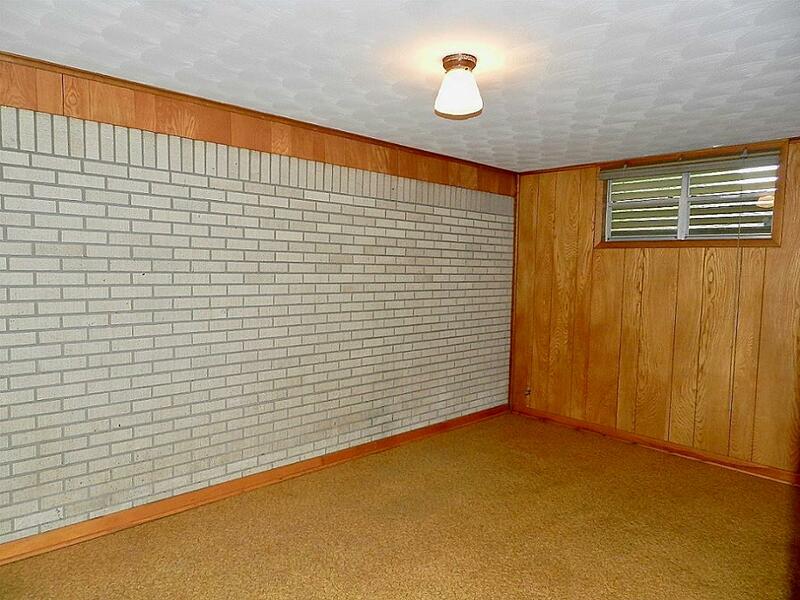 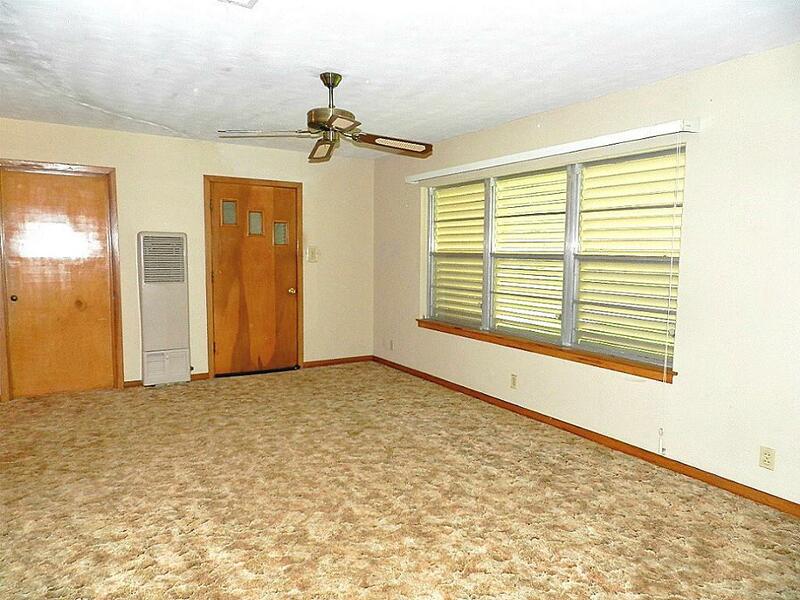 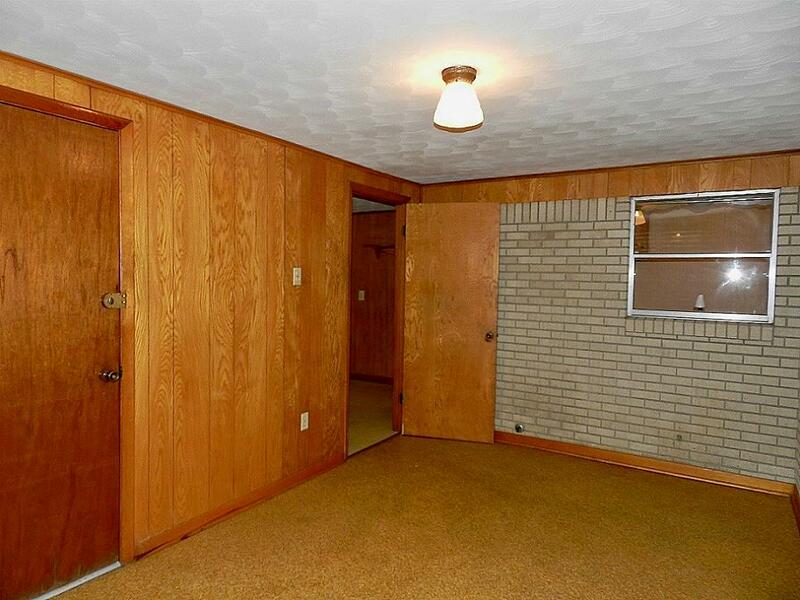 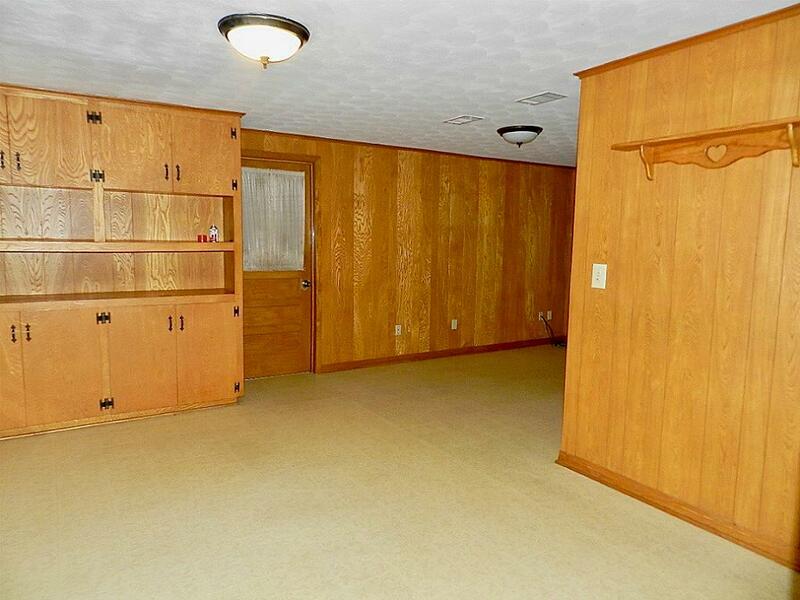 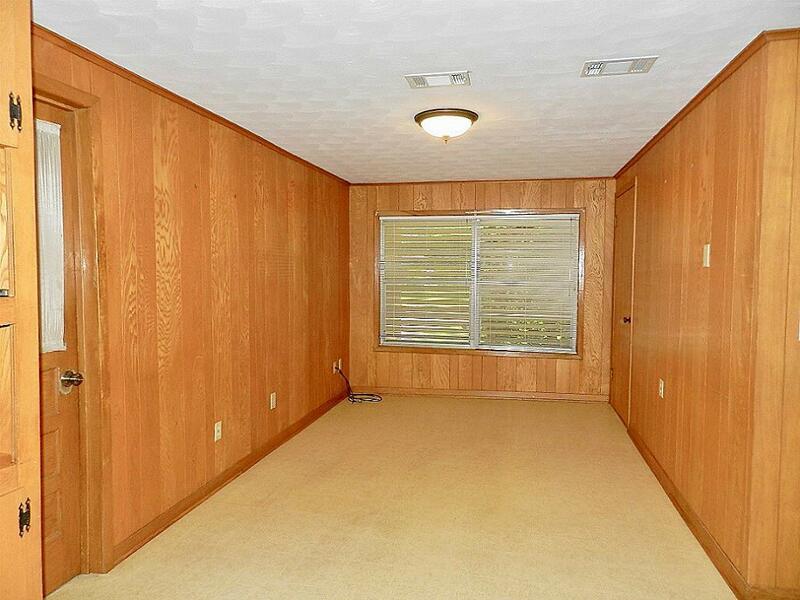 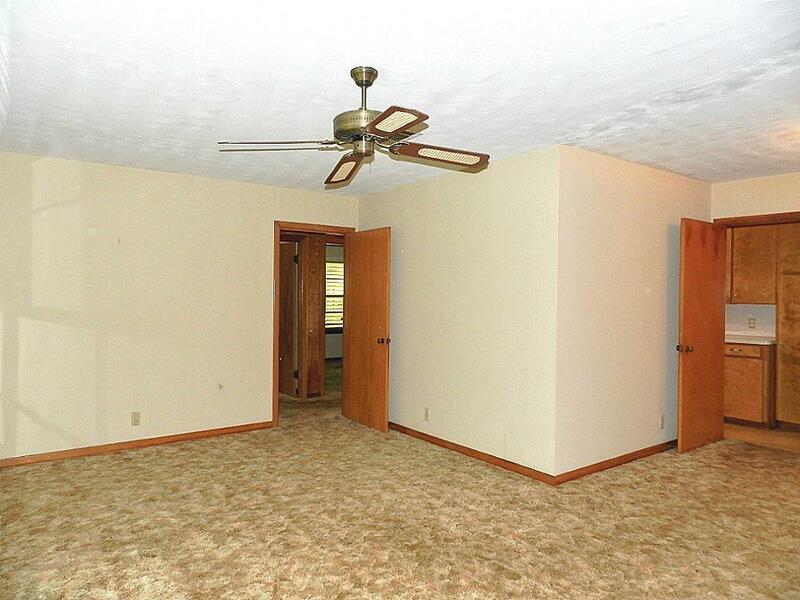 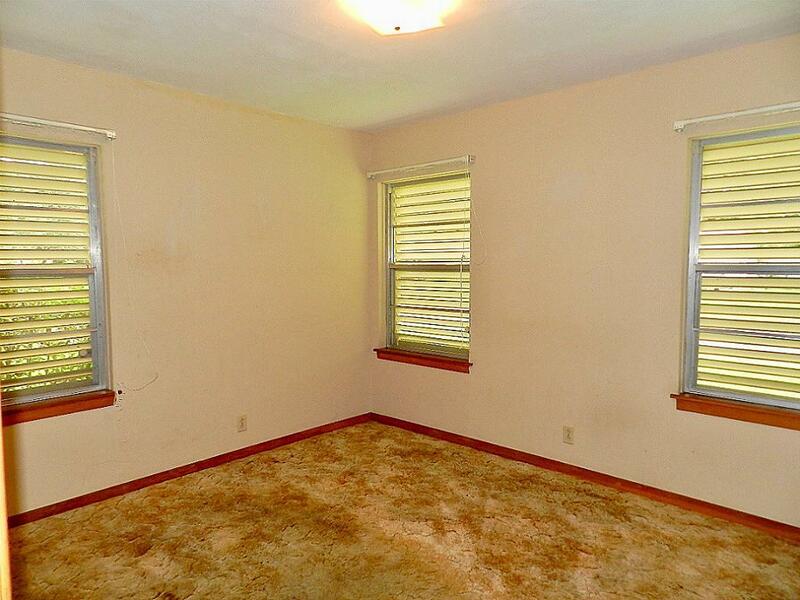 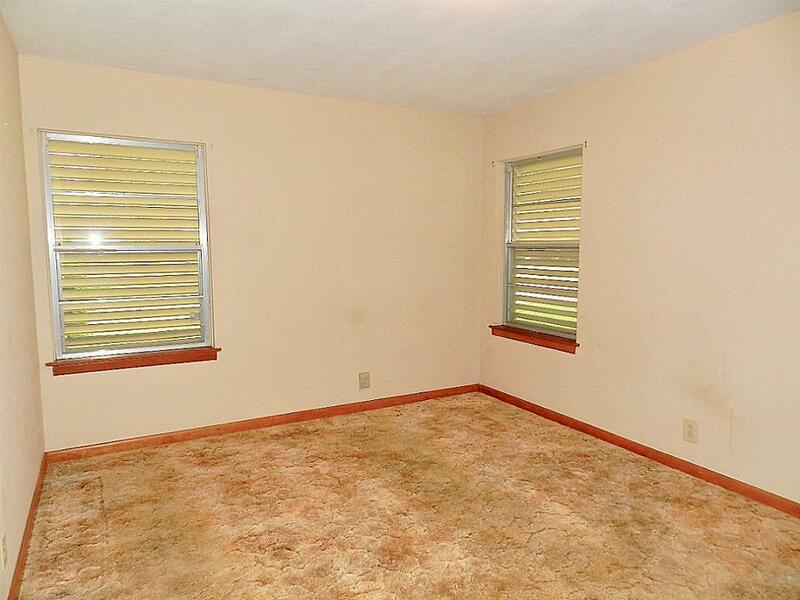 Living roomHardwood floors under all the carpet. 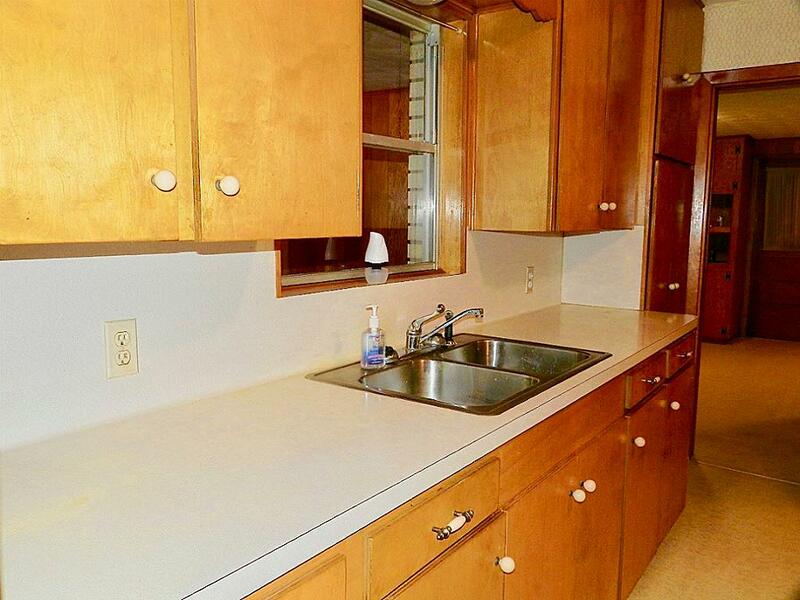 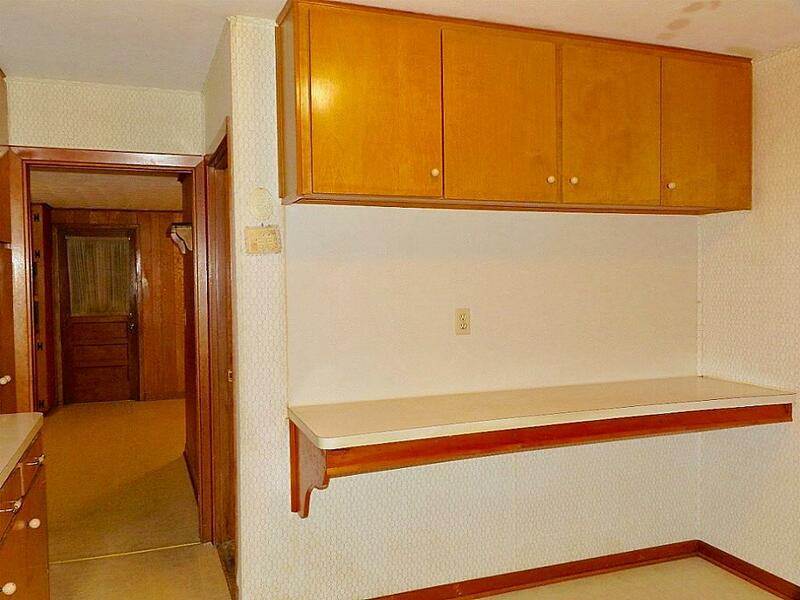 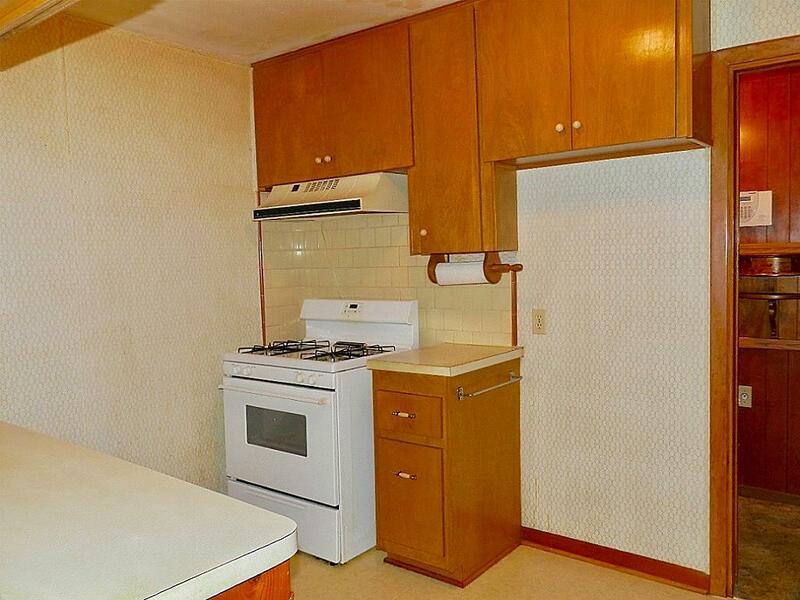 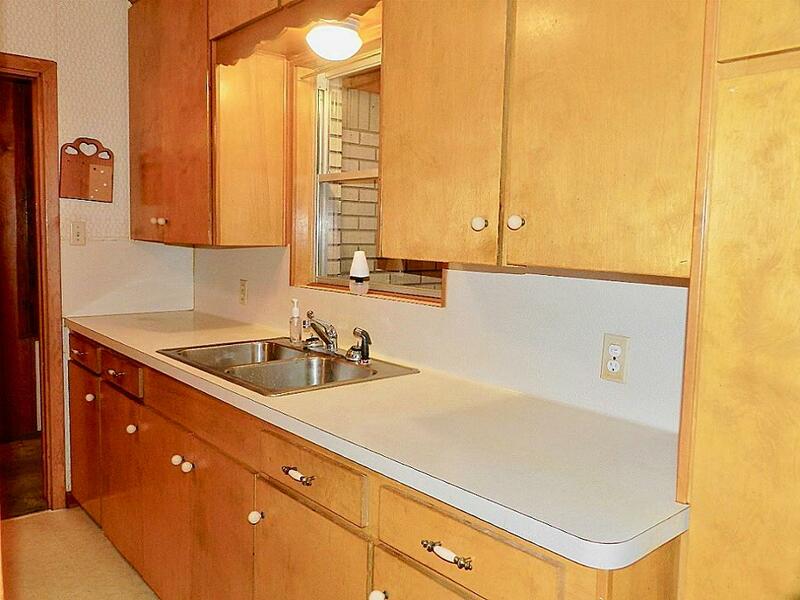 Kitchen has a lot of cabinets. 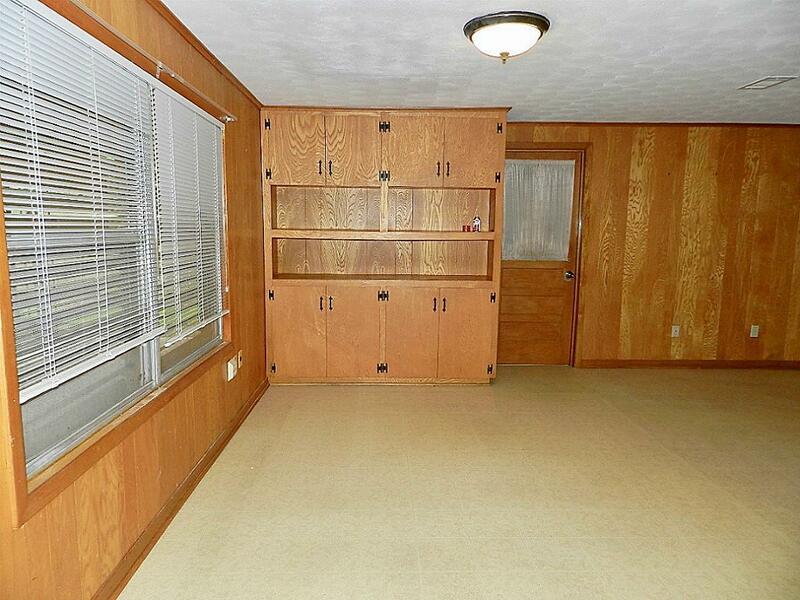 Another view of office space/ built in cabinets. 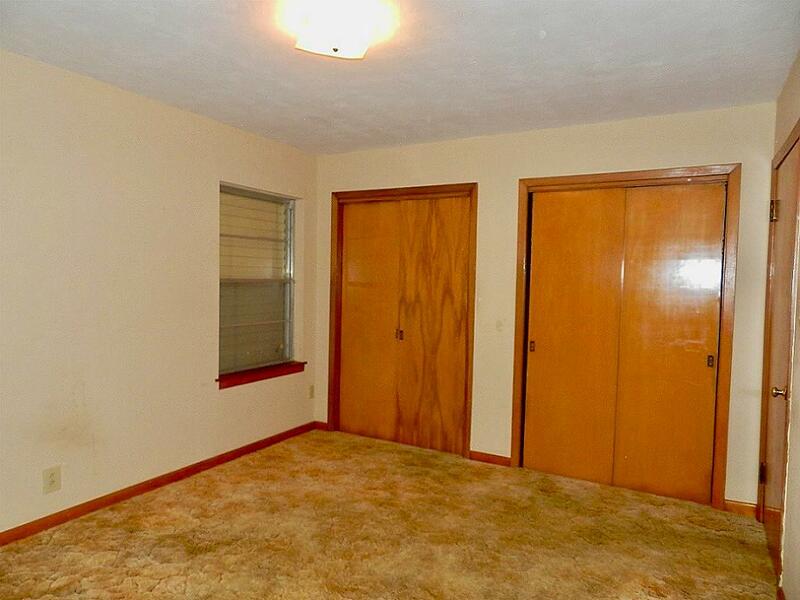 Another room off living room that can be used as a den. 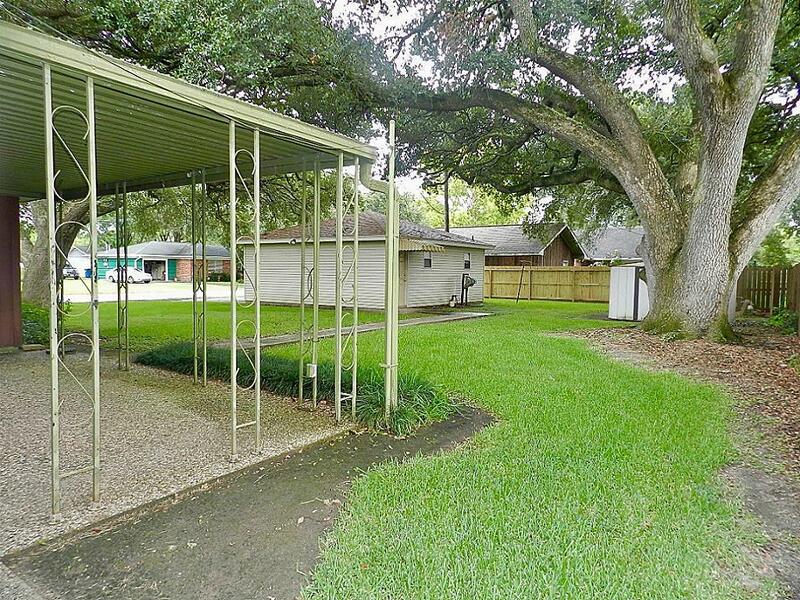 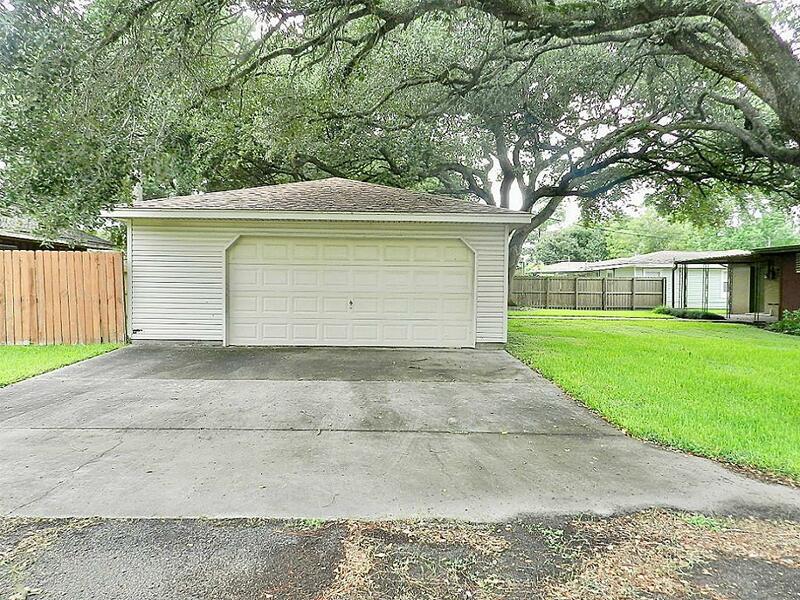 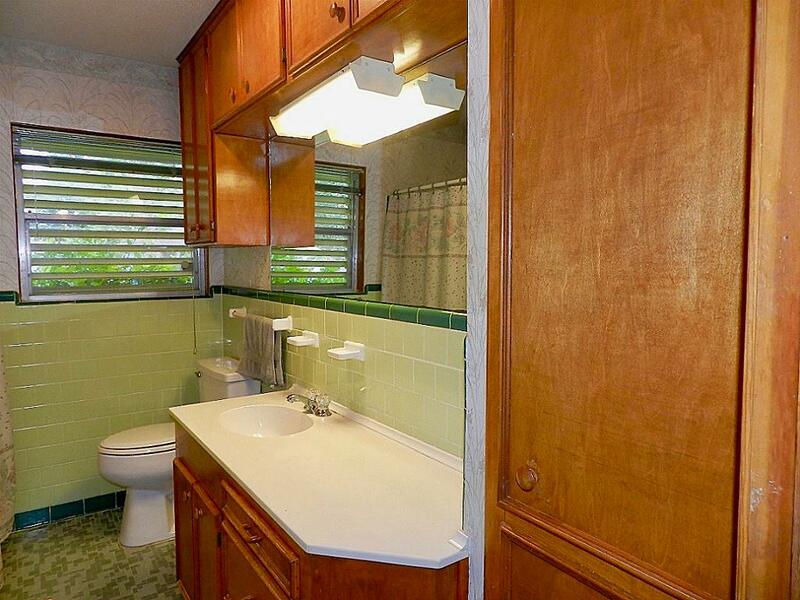 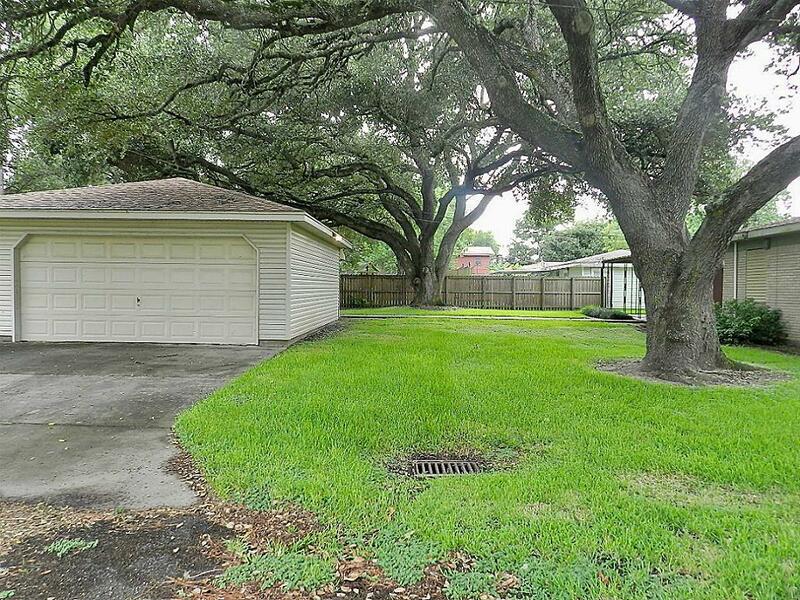 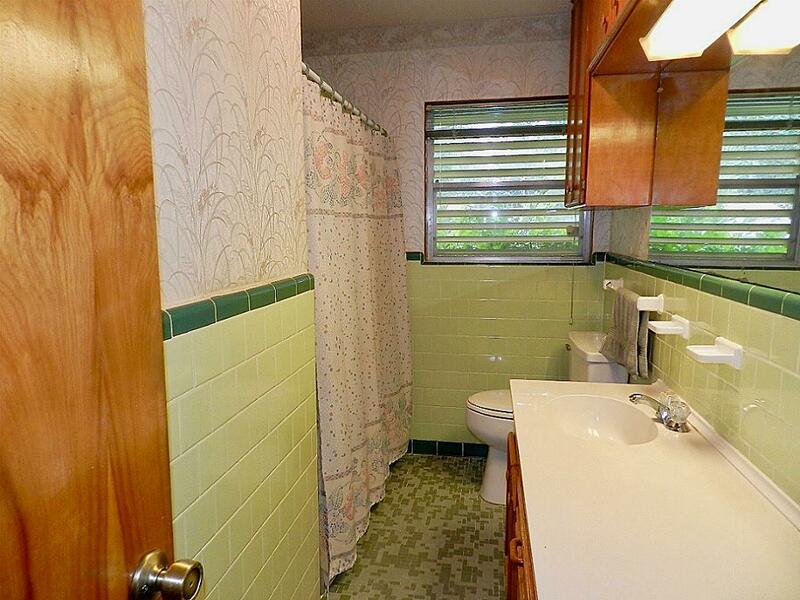 2 car detached garage has a full bathroom with stand up shower.